Sew Tessuti Blog - Sewing Tips & Tutorials - New Fabrics, Pattern Reviews: Block Fusing is the best! Block Fusing is the best! 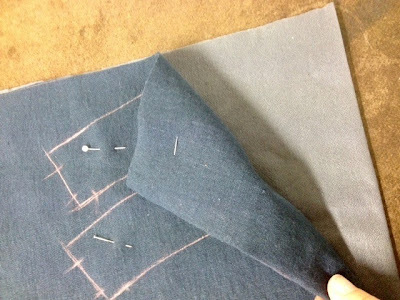 When it comes to starting a new sewing project, I enjoy the cutting process ( I really do!) and of course sitting at my machine to start sewing. But the bit I find truly tedious is ironing the fiddly interfacing pieces to the (just as fiddly) fabric facings. In fact fusing waistbands, collars, cuffs is laboring!!! I'm sure you know what I mean? 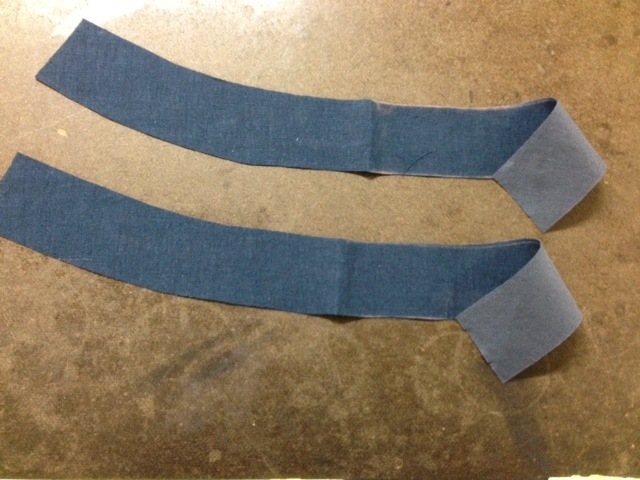 A well known method used in the garment industry regarding interfacing is block fusing. When ironing interfacing to fabrics, the fabrics can shrink as a result, in particular woolens, cottons, viscose etc. So interfacing the fabric set aside for the facings, waistbands etc before cutting out is not only essential but makes this process quick and easy! 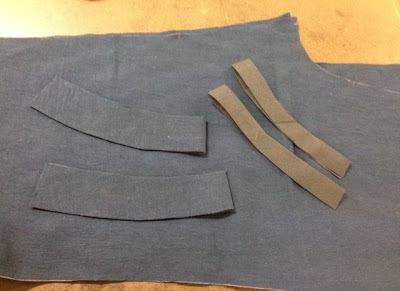 See why, in this example I'm going to show you a pair of pants I cut out recently in Vintage Wash Navy Linen and how I block fused the waistband facings. 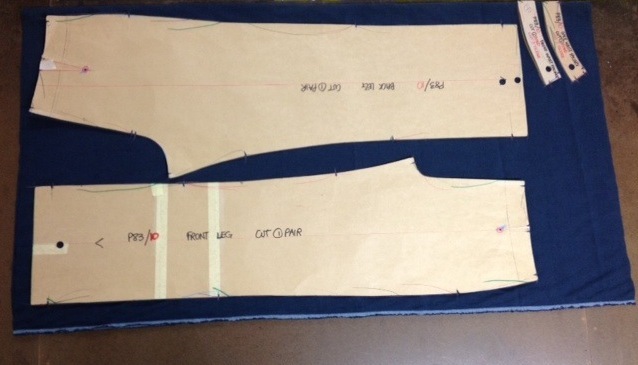 When laying out my pattern to the fabric, I marked out my facings as per usual but instead of cutting them out of the fabric I cut around the facing shapes allowing approx 2cm around ( incase there is any shrinkage after fusing) so that my facings still fit after the fusing process. 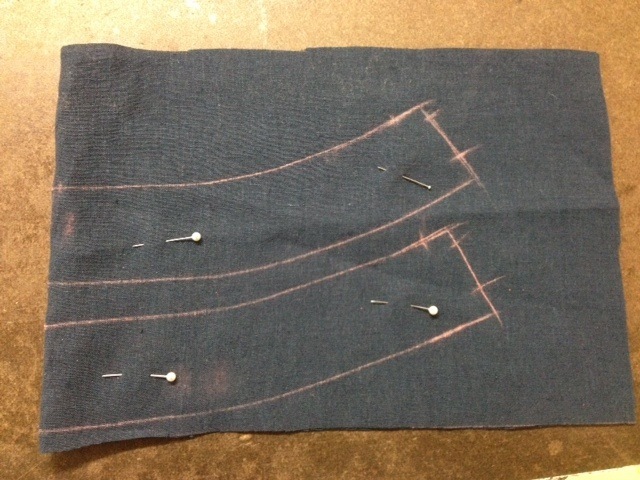 *I've marked mine out in fabric tailors chalk as my pattern is in cardboard,but you can pin your tissue pattern to the fabric, cut around the outer of these shapes and then remove. Apologies, I wasn't as approx around my pieces! I then placed the folded fabric piece over my folded interfacing, pinned in place and then cut around the fabric shape. 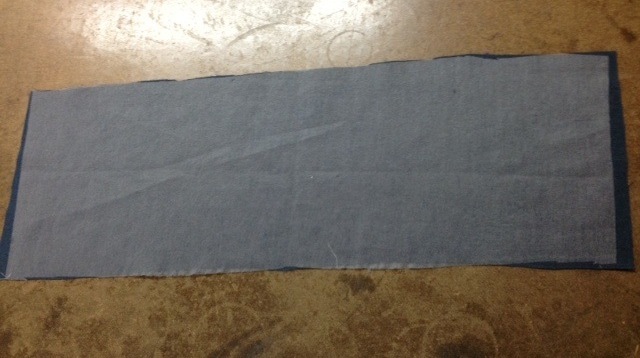 I then ironed on the interfacing to the wrong side of the fabric. Once the fabric had been fused, I refolded my piece and lay out the facing pieces back on the fold, pinned in place and then cut out. 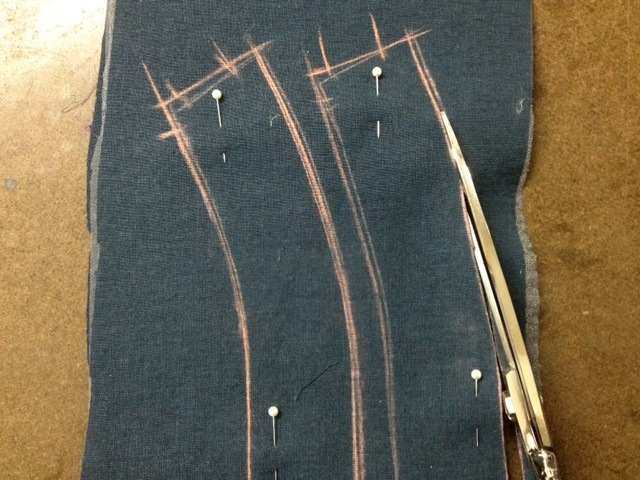 *In my example you can see here that when I re-chalked around the facing pieces the linen had shrunk a little. Et voila....now you have your interfaced facings! The same size as your original pattern piece. How easy is that? Next week I'll post about the importance of vilene shields!